A leader in turnkey hydraulic power systems to the marine industry for over 25 years. Given any combination of independent shipboard hydraulic systems, NAIAD routinely designs a single well-configured package to provide hydraulic power, hydraulic fluid filtration, and system cooling to suit each device. A leader in turnkey hydraulic power systems to the marine industry for over 25 years. Our integrated systems supply hydraulic power to Naiad motion control systems and thrusters as well as capstans, windlasses, deck cranes and virtually any other hydraulically driven marine equipment. NAIAD thrusters and stabiliser systems are routinely combined into well-configured Integrated Hydraulic Systems that provide common hydraulic power, fluid filtration, and system cooling. NAIAD Integrated Systems save space and weight, reduce overlapping and redundant components, minimise piping and connections, and eliminate cumbersome and inefficient hydraulic circuits. In addition to our stabilisers and thrusters, we routinely address the hydraulic needs of windlasses, capstans, davits, or any other on-board hydraulic equipment. Rely on NAIAD Dynamics for comprehensive hydraulic design and single source technical support. Reduces cost and maximizes operational efficiency. 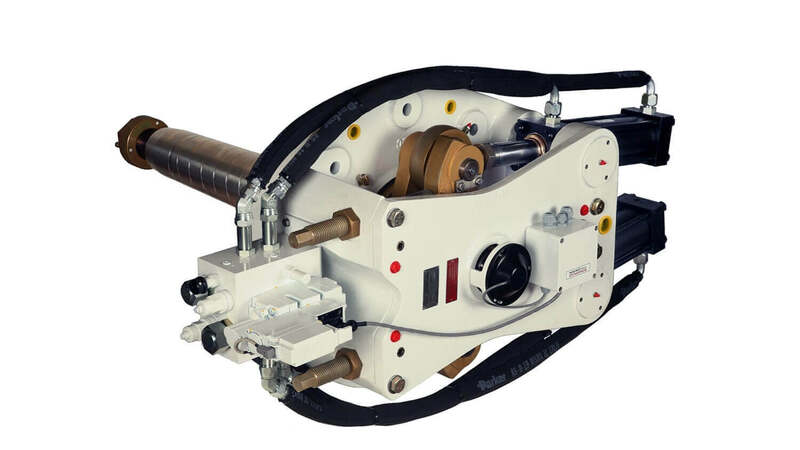 Simplifies installation and maintenance – one source for hydraulic system support and spares. Naiad designs entire system, specifies all line sizes and supplies all major components and/or integrates other manufacturer’s equipment. Pumps run off main engines, gensets, electric motors or a combination. Naiad Power Packs are available in a variety of standard sizes and configurations to suit any application. PLC controlled systems feature fully programmable flow and pressure to efficiently run all hydraulic consumers. Simpler Hydraulic Installation ‐ Automatically regulates hydraulic power without the need for load sensing lines to every consumer. Simpler Electrical Installation ‐ Controls pump motors and manages alarms without additional relay or control boxes. Odessa Marine Pty Ltd, the Exclusive Australian Distributor for Naiad Dynamics ride control systems. While Odessa Marine is relatively new to the Australian Marine Industry it is headed up by Hadyn Griffith. Hadyn’s has been in the professional marine industry for 38 years, 28 of these years representing Naiad Dynamics ride control systems.